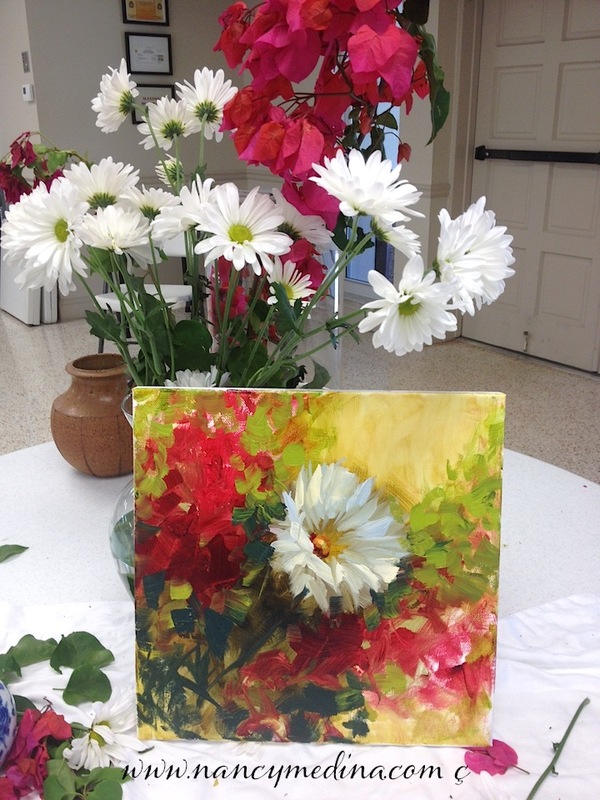 We painted bougainvillea and daisies in my Fort Lauderdale, Florida workshop this morning. 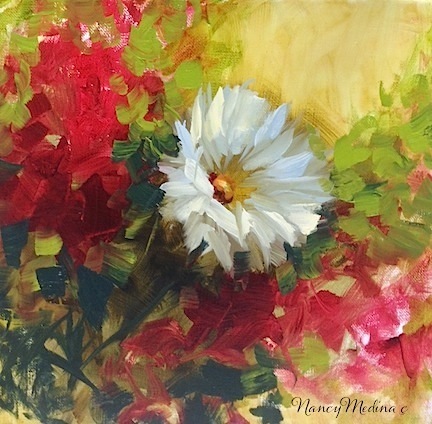 What fun to paint with ladies from Utah, Canada, New Hampshire, Minnesota and across Florida today. We did not spot any gators, but we did see plenty of flowers blooming! 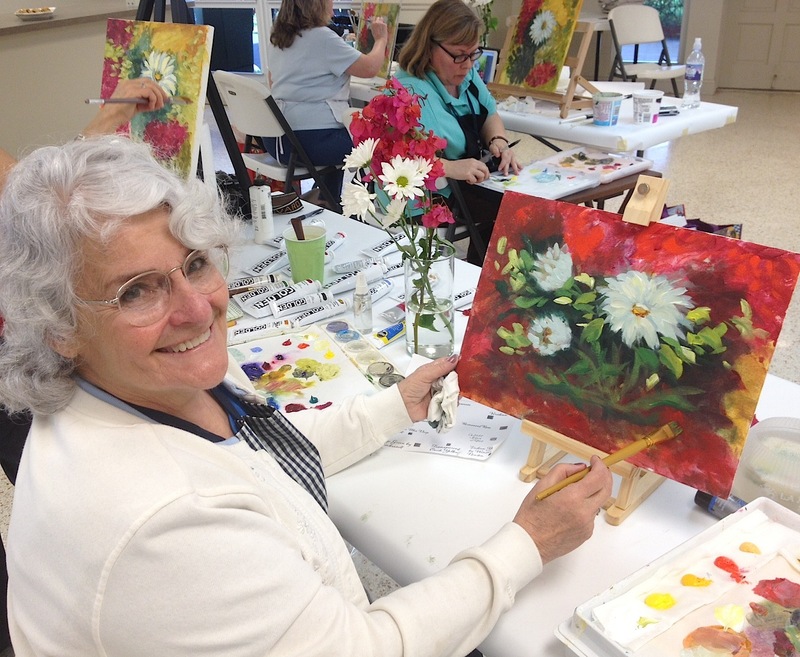 It's always good to paint with palm trees swaying outside the classroom window, don't you agree? Get your beach shoes on, strum your ukelele, and stay tuned here to the art bloggy, I'll be sharing even more pictures from sunny Florida with you this weekend! A peek at the studio models! Sandi does not fear color! Talented ladies and their daisy masterworks, perched beneath the palms!